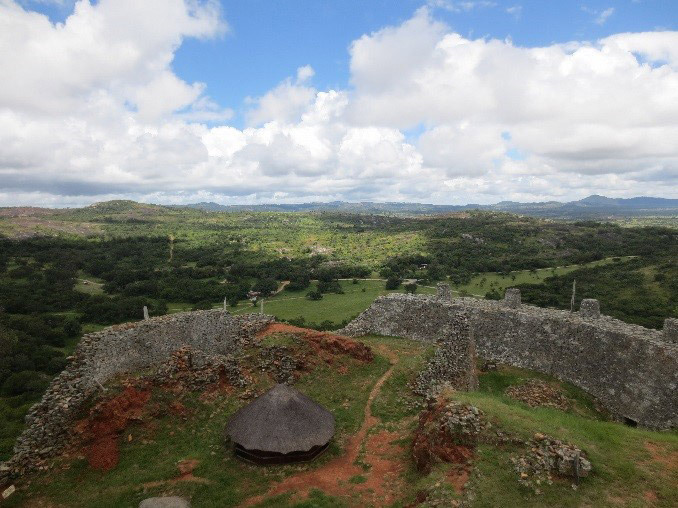 After learning from your expert guide of the mysteries surrounding Great Zimbabwe and its Southern African Empire, you’ll move on to the granite hills of the Matopos National Park, home to leopards, white rhinos, and the San people, who lived in these hills about 2,000 years ago. Today, their rock paintings still survive with over 3,000 registered rock art sites. From the Matopos, Bulawayo, continue to Zimbabwe’s largest National Park, Hwange, established in 1928. Here you will have the opportunity to see the Big Five; lion, leopard, buffalo, rhino and elephant. If you look closely you may also see the Little Five; ant lion, leopard tortoise, buffalo weaver, rhino beetle and elephant shrew! Return home, with your minds full of stories and images to relay to friends and family. 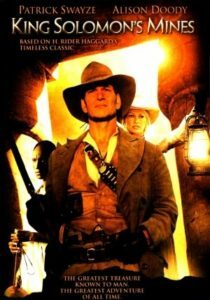 You will have discovered the extraordinary treasures of Zimbabwe and will have indeed experienced what Rider Haggard described in his book over 130 years ago. John Fleming is a third generation Zimbabwean. His English grandfather was one of the first settlers to arrive in Zimbabwe, or Rhodesia as it was called back in the late 19th century. John was born near Luangwa National Park, and spent his child-hood roaming about the wilds of eastern Zambia. He was a commercial pilot, worked with farmers in Zimbabwe to help export their products, and later, managed a safari lodge in the Chizarira National Park of Zimbabwe. John now spends his time promoting and leading safaris to Zimbabwe. He looks forward to sharing his homeland with you. Welcome to Zimbabwe! Upon arrival at Harare International Airport you will be greeted and transferred by road to Norma Jeane’s Lakeview Resort, situated near the famous Great Zimbabwe. The drive takes approximately four hours. Formerly known as Inn on Great Zimbabwe, the resort is known for its beautiful gardens, home-style cooking, comfortable accommodation and friendly service. It is part of the history of the area, as it was built around the tin-roofed homestead of Murray MacDougal, the man responsible for the building of Lake Mutirikwi (previously known as the Kyle Dam). This dam, the third largest in Zimbabwe, and was built to provide much-needed water for the vast agricultural irrigation developments surrounding Masvingo. 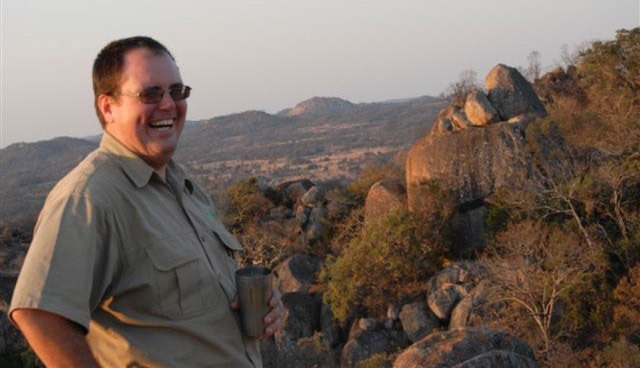 This morning, travel with Paul Hubbard, your knowledgeable Zimbabwean guide, to the famous Great Zimbabwe and tour the ruins. A bit like Stonehenge in that nobody's really sure exactly who originally built it and why, Great Zimbabwe is the most well-known of the hundreds of megalithic ruins (some big, some small, some tiny) dotting the landscape of Southern Central Africa. After Victoria Falls, it is a "must see" for every traveler to Zimbabwe, especially those who are a little more curious. 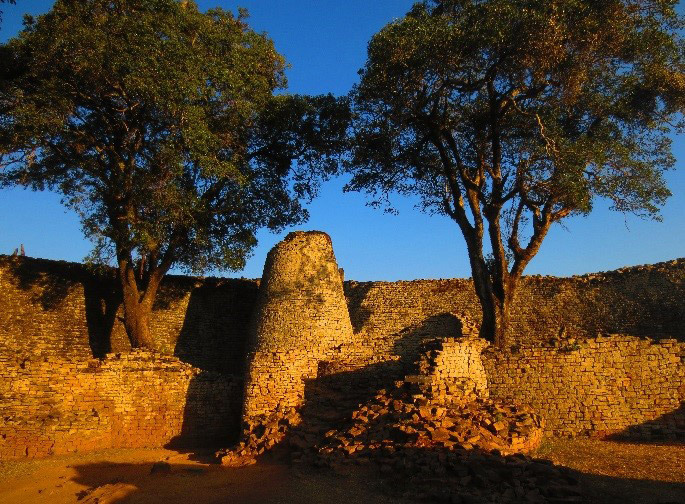 Learn about the ancient history of Great Zimbabwe and the bushmen that inhabited the area and left their mark in the many painted caves and overhangs in the Granite hills around Masvingo. One of the most intriguing of these sites is Chamavara Cave, also known as the Cave of the White Lady, depicting a figure said to be a lady in Oriental dress, right down to the pointed slippers on her feet. The afternoon will be spent at leisure. After an early breakfast, you will depart with Paul and drive about four hours to Camp Amalinda. Your luxury camp is an African inspired refuge nestled amid the scenic rock formations of the majestic hills of Matobo, a UNESCO World Heritage Site. A cozy library contains some of the old “African Classics”, while a secluded chess room, located amongst the tree tops guarantees peace and tranquility. Wine connoisseurs may want to visit the hotel’s natural cave wine cellar. Sundowners can be enjoyed around a warm fire in the enclosed “boma” area. 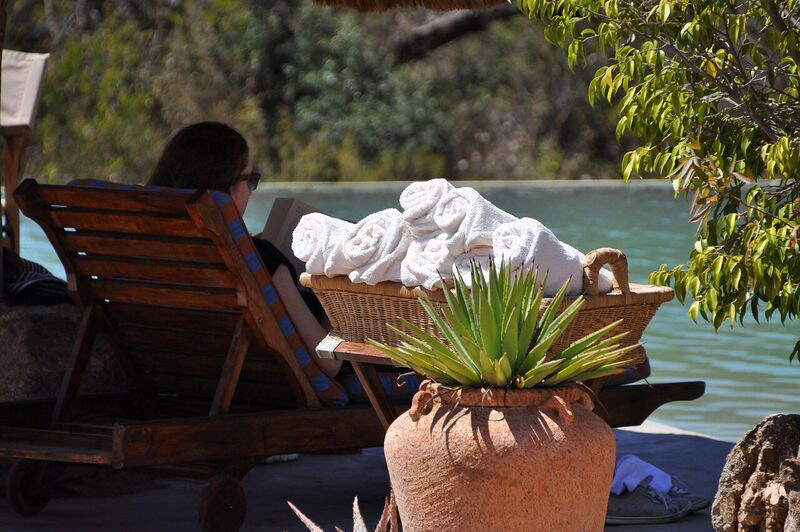 At the base of the camp is a large swimming pool with comfortable loungers and a bar, all over-looking a waterhole. The Heritage Spa is an irresistible treasure worth experiencing amidst a most miraculous backdrop. The Matobo Hills, a UNESCO World Heritage Site, are a profusion of distinctive granite landforms, densely packed into a comparatively tight area, that rise up to form a sea of hills, created through millions of years of exposure to the natural elements. These extraordinary granite rock formations have exerted a strong presence over the whole area – both in natural and cultural terms. The highest concentrations of rock art in Southern Africa, dating back at least 13,000 years, has been discovered in the hills. The paintings illustrate evolving artistic styles and also socio-religious beliefs. There is evidence that the Matobo Hills have been occupied for least 500,000 years and archaeologists reveal a very full picture of the lives of foraging societies in the Stone Age and the way agricultural societies eventually came to displace them in the Iron Age. The Mwari religion is still practiced in the area and may actually date back to the Iron Age. The Matobo rocks are seen as the seat of god and of ancestral spirits. Sacred shrines within the hills are places where contact can be made with the spiritual world. The living traditions associated with the shrines represent one of the most powerful intangible traditions in southern Africa and one that could be said to be of universal significance. This is a community response to a landscape rather than individual ones. Bid farewell to Paul and the staff of Camp Amalinda. After breakfast, you will be transferred by road to Hwange Main Camp. 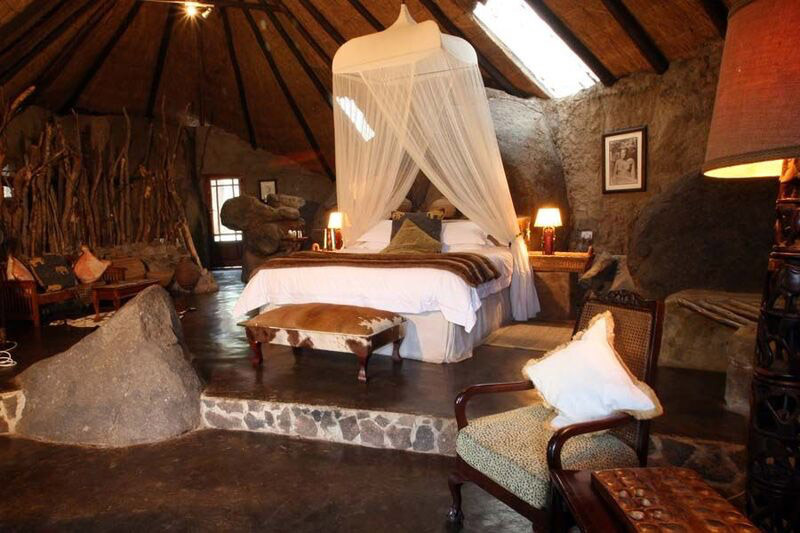 From there, experience a game drive on the way to your accommodations at The Hide, arriving in time for lunch. 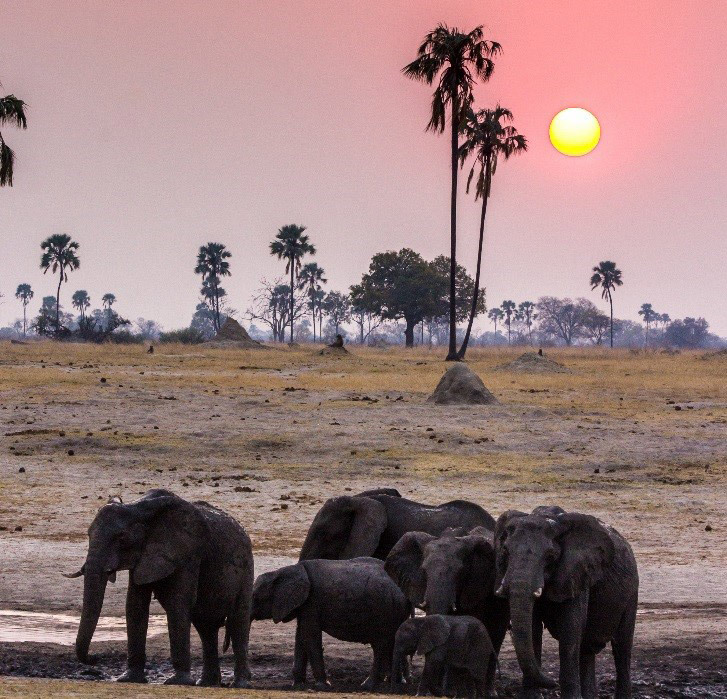 Hwange is Zimbabwe’s largest national park, accounting for an area of 14,651 square kilometers. Formerly occupied by the San Bushmen, the Nhanzwa, and latterly the royal hunting ground for Matabele king, Mzilikazi, the area was finally transformed for wildlife conservation in 1928. A significant feature of Hwange is the absence of permanent surface water. Animals rely heavily on a series of waterholes, many of which dry up completely during drought years. The Friends of Hwange now maintain a number of these waterholes throughout the year thereby ensuring the livelihoods of thousands of animals, and excellent game viewing as wildlife congregates at these points. The landscape is also diverse, dense teak forest in the north gives on to Kalahari sandveld in the south. In between, open grassy plains lined with acacia lie alongside mopane woodland and islands of Ilala palms. The Hide's luxury tented suites are uniquely styled along classic lines with a contemporary twist; all are spacious and bathed in natural light. Life in the bush is not just about searching for big game. It is just as much about waking to the chorus of robins and hornbills as the rosy dawn light creeps across the bedspread. It's about sitting quietly on the verandah to watch the comings and goings of kudu, giraffe, elephant and many more at the waterhole. And, of course, at the end of a full day, there's that long soak in a hot bath under the stars and the warm bed where you'll curl up and listen to the sounds of the African night. Explore the wildlife of Hwange on two game activities today. A haven for over 100 mammal and 400 bird species, the park protects populations of all of Zimbabwe’s endangered species, elephants numbering in excess of 20,000, and what is thought to be one of the largest populations of African wild dog left in the world. Large prides of lion and buffalo are frequently seen here and you have a good chance of spotting leopard and rhino in addition to cheetah and spotted hyena. Depart The Hide today and transfer by road while spotting game on the way to Victoria Falls Safari Club in Victoria Falls. The drive is approximately 125km – driving time approximately 2 hours. 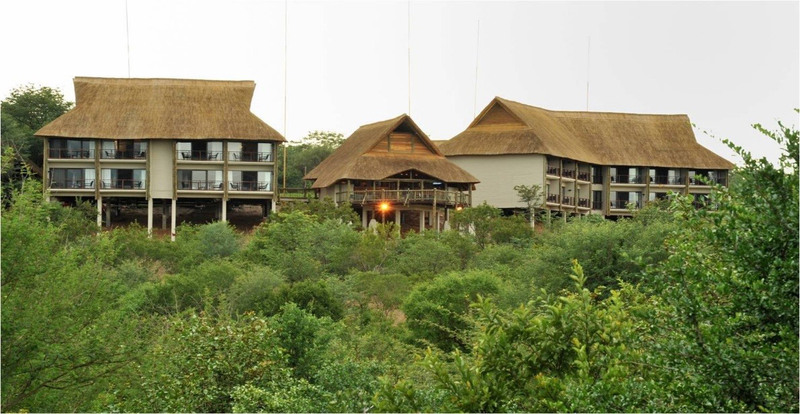 Set alongside the award winning Victoria Falls Safari Lodge, high on a plateau which forms a natural boundary to the Zambezi National Park, Victoria Falls Safari Club offers luxurious accommodation with uninterrupted views of unspoiled bushveld and spectacular African sunsets. Victoria Falls Safari Club is the premium, exclusive property in the region offering a personal butler service and exclusivity and situated in the region of one of the Seven Natural Wonders of the World. Later afternoon: Embark on a relaxing sundowner cruise on the Zambezi Royal boat and enjoy cocktails as the sun sets on the Zambezi River. After breakfast, spend a couple of hours exploring Victoria Falls on a guided tour. Victoria Falls presents a spectacular sight of awe-inspiring beauty and grandeur. 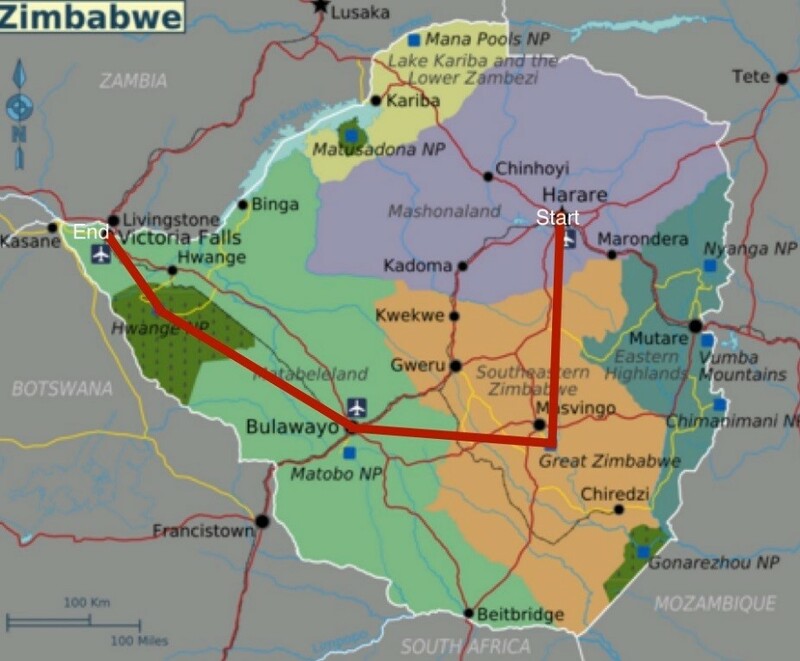 Situated on the Zambezi River, forming the border between Zambia and Zimbabwe. It was described by the Kololo tribe living in the area in the 1800’s as ‘Mosi-oa-Tunya’ – ‘The Smoke that Thunders’. Columns of spray can be seen from miles away, and you may even catch a glimpse of rainbows arcing the sky in its mist. Bid farewell to Zimbabwe and newfound friends as you depart for the Victoria Falls Airport and your homeward bound flight. Images are courtesy of Tim Marks, Photographer; Paul Hubbard, Professional Guide; the Amalinda Collection; and Trip Advisor.